This may be hard to believe, but kids everywhere adore the accordion! In fact, it is one of the world's most popular instruments. 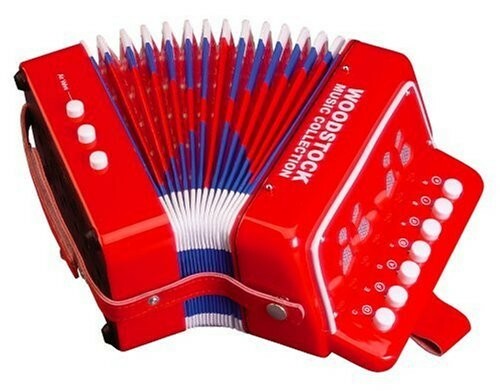 From the premier creator of kid's musical instruments, Woodstock, comes their best-selling Kid's Accordion. It produces an authentic sound through its 2-octave range, and features an adjustable strap so your child can enjoy it for years and years. 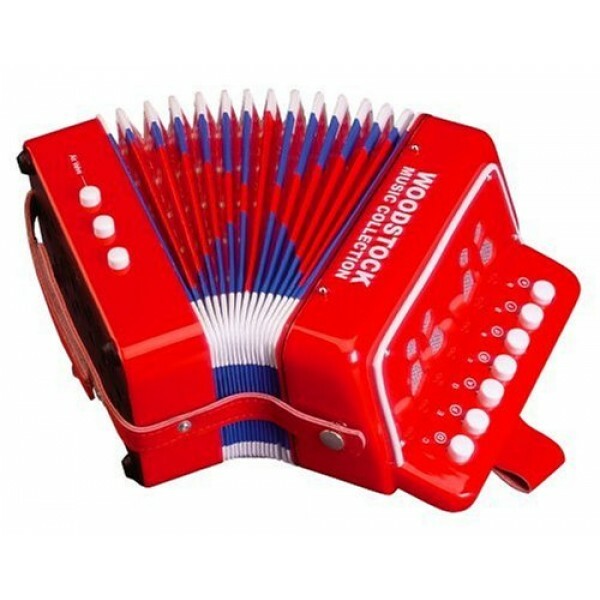 Eight easy-to-play songs and detailed playing instructions are included, all in a four-color gift box. Great for cognition and hand/eye coordination, as well as imagination and musical creativity.